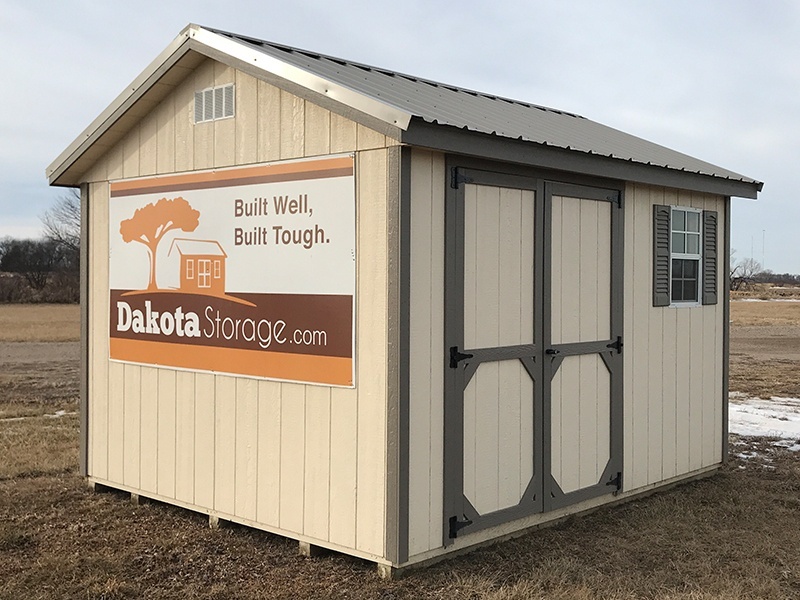 Our Delano, MN Dakota Storage display lot is three miles west of Delano on US Highway 12 near the The Flower Farm by Otten Bros.
We'll usually have between 5-7 storage buildings at this convenient location. Each is unlocked, so you can get a close up view of the construction quality and design details. 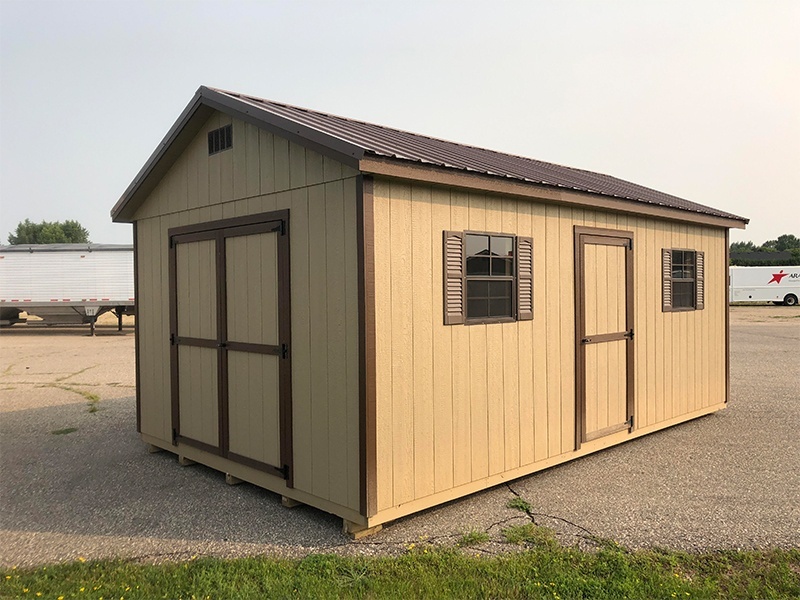 There is one shed that serves as an information booth. 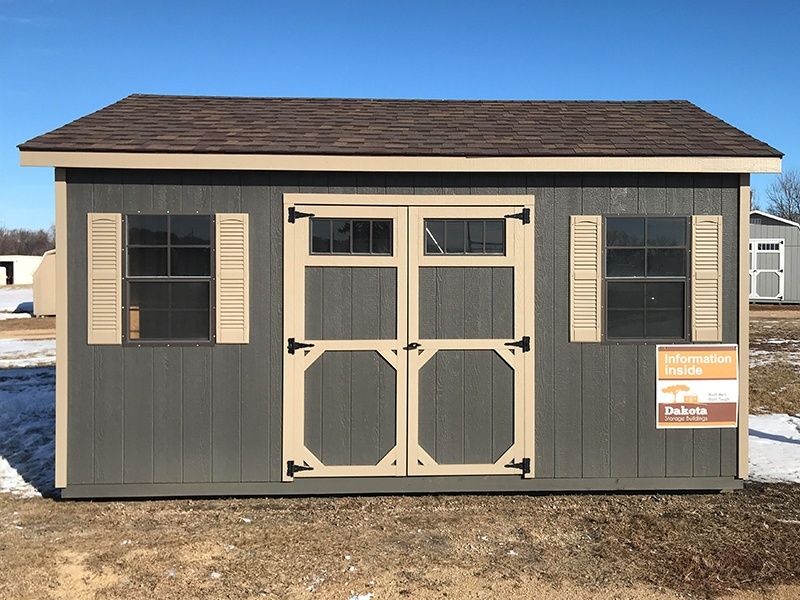 In there you'll find product brochures and information on how to order one of our sheds. If you have questions or if you would like to set up an appointment to meet with a sales representative, please call 605-250-3419. Check out these photos from our Delano, MN location. Delano, MN is a city in Wright County, Minnesota. Located on the western fringe of the Twin Cities metropolitan area, this town is known for its charm, friendly community, and progressive environment to live, work, and play. Fun fact: Delano is home to the oldest and largest Fourth of July celebration in Minnesota. The first known Fourth of July celebration was held July 4, 1857, near Fountain Lake. The celebration lasts at least four days and includes various forms of entertainment and activities. Check out this Delano city map for an idea of the area. Call 605-250-3419 to find out more details about our discounted products!